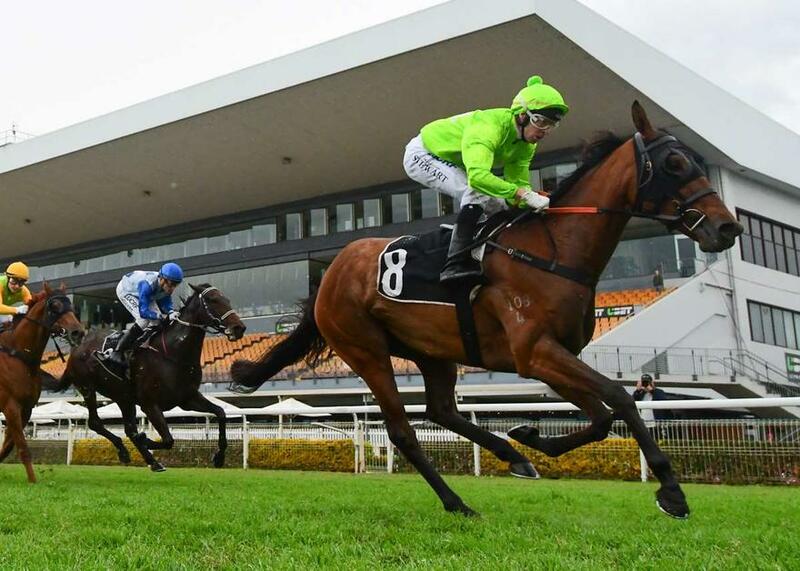 Talented three-year-old HARD RULER booked herself a trip to the Grafton winter carnival for the $80,000 Grafton Guineas (1600m) after recording her second straight win at Doomben today. Jumping well from a wide gate, the All Too Hard filly relaxed nicely for jockey Ronnie Stewart to settle just behind the speed before unleashing another strong finish and overpowering her rivals by 2.3 lengths eased down. The result took HARD RULER’S record to two wins and a second placing since arriving in Queensland with the Munce Racing stable from Mick Price in Melbourne. Trainer Chris Munce said he would now set his sights on the Grafton Guineas, to be run on Ramornie Handicap Day on Wednesday, July 11, before giving his filly a well deserved spell. “She raced well for Mick Price in Melbourne but has really taken to the Queensland climate,” said Munce. “She’s very adaptable and did very well since Caloundra where she won impressively. “She will have one more run here and then head down to the Grafton Guineas before going out for a well-deserved spell. While jockey Ronnie Stewart was as cool as a cucumber, taking a peak at the big screen on the infield as he eased the filly down over the final 50m, our stablehand Mandy Bargo couldn't contain her excitement in what was her first time strapping HARD RULER at the races.